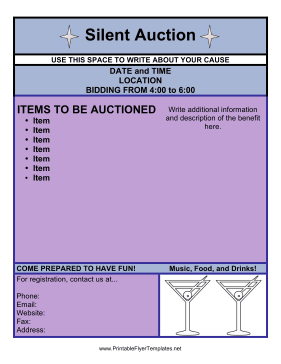 A silent auction is a classic fundraising strategy for schools, churches, and other organizations. These purple and blue flyers include room to list items being auctioned, meals being served, and who the auction will benefit. Be sure to include the date, time, and location of the auction!